2018 CSDFEA Larry Itliong Art Contest Winner Announced on Oct. 25! On Wednesday, Oct. 25, 2018, CSDFEA proudly presented the Larry Itliong Scholarship Art Contest Award to 17-year old high school student, Mackenzie Tibayan. Thank You from Mackenzie Tibayan: "A Sudden Realization" - This perspective reflects my own artistic concentration on human abstraction. Our own morale and principles outline these abstractions, yet that is the beauty of our own humanity. Each phase displays the realization of who I truly am, a proud Filipino in the face of the challenging world. It is with my own appreciation of my nationality, my own will, and independence that made me reach the sudden realization that "you are your own hero." Thank you to the County of San Diego Filipino-American Employee Association for this award and for my family who has not only supported me but has influenced me in both my determination and commitment towards my love of art." 2018 CSDFEA Larry Itliong Scholarship Awarded on Friday, June 8! 2018 CSDFEA Larry Itliong Scholarship Award Winner, Marc Hagoriles with his dad, CSDFEA President (Ardee Apostol) and Scholarship Committee Chair (Mavette Sadile). 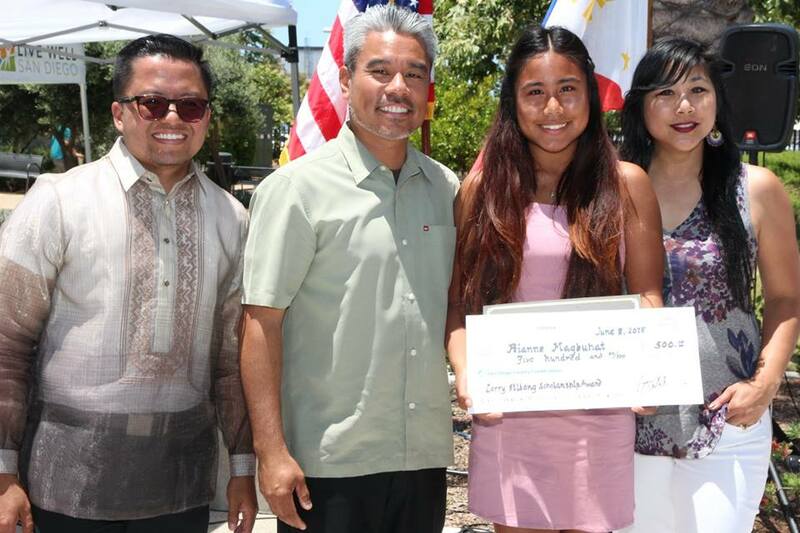 2018 CSDFEA Larry Itliong Scholarship Award Winner, Rianne Magbuhat with her parents and CSDFEA President (Ardee Apostol). On Friday, June 8, 2018, CSDFEA proudly presented the Larry Itliong Scholarship Awards to this year's winners, Marc Hagoriles ($1000) and Rianne Magbuhat ($500). Both Marc and Rianne are both high school seniors who will be attending university in Fall 2018. The scholarship award was evaluated based on academics, community service, and essay response. Thank You from Rianne Magbuhat: ​Thank you to CSDFEA for this honor and their support in my future at SDSU, where I plan to major in Studio art and Education. I would also like to thank my family who are here with me today, for their never ending support in all my endeavors. They have always reminded me to prioritize my education and become the best version of myself possible. Maraming Salamat po! On Wednesday, October 25, 2017, CSDFEA proudly awarded $500 to the 2017 CSDFEA Larry Itliong Art Contest winner, Nicole Manuguid. 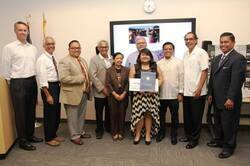 Honorary mentions (along with $250) were awarded to Sophia Basilio and Ervey Star Del Rosario. Nicole is 16 years of age and attends Olympian High School. "My diverse community at its best works together. We show through hard work, we can accomplish goals. My community not only strives to create an open-minded, welcoming environment but influences the entire world to follow the same manner, shown through my placement of united individuals leading the world. The monochromatic hand exemplify that hard work is recognized regardless of someone's background because in an effective and diverse community, there is no bias, just appreciation." Picture (Left to Right): Ardee Apostol (CSDFEA President), Nicole Manuguid, Sophia Basilio, Ervey Star Del Rosario, and Rizza Rodriguez (CSDFEA Vice President). 2017 CSDFEA Larry Itliong Scholarship Awarded on Friday, June 9! "It is with a sincere heart that I would like to thank CSDFEA for this wonderful opportunity that head starts my journey to another chapter in my college career. I want to thank my family for always being there for me and lifting me up to be the person I am today. You are the core of my successes and dreams and I will never forget that... I am from an immigrant family. That is my foundation and I am proud of that. The works of Larry Itliong and CSDFEA and all of us here shows that we can still have a sense of bayanihan or camaraderie no matter how far we go from a country that we will always call home. Being recognized in this way is very humbling and is a great honor. As a County worker, I learned how everything we do is for the common good of the public and that is why we always strive hard. Thank you again and I look forward to serving more of San Diego and going forward, the future of the Filipino American community." 2016 Larry Itliong Essay & Scholarship Winners Announced! ​In honor of the life and legacy of Larry Itliong, the County of San Diego Filipino-American Employees’ Association proudly hosted the LARRY ITLIONG DAY CELEBRATION on Tuesday, October 25, 2017. Under a bill introduced by Democratic Assemblyman Rob Bonta, the first Filipino-American elected to the California State Legislature, October 25 will now be observed as Larry Itliong Day. "History was changed, but those stories weren’t being told in the history books, weren’t being captured, and it was important to me for that to change especially in the most diverse state in the country," says Bonta. 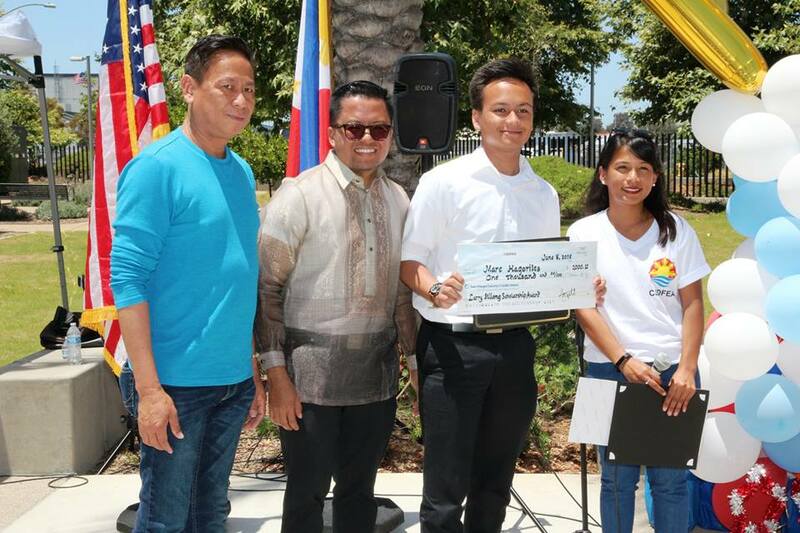 In honor of the life and legacy of Larry Itliong, the County of San Diego Filipino-American Employees’ Association proudly hosted the LARRY ITLIONG DAY CELEBRATION. 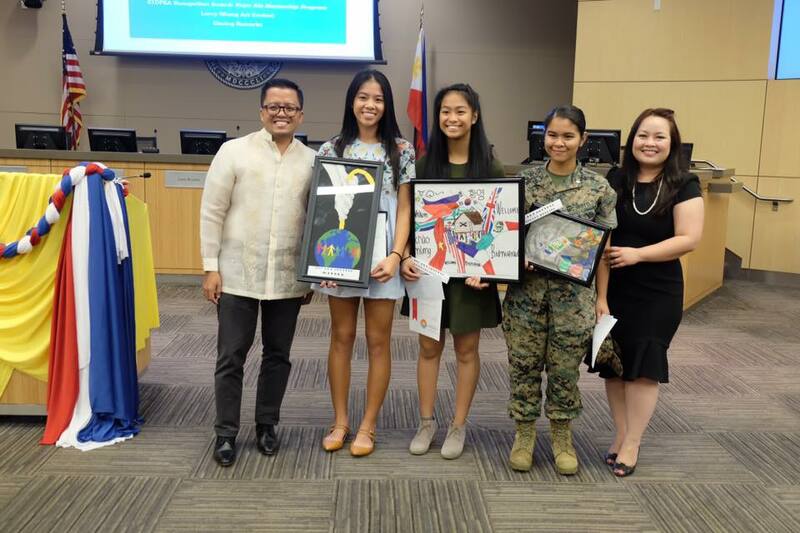 Contributions of the Filipino Manongs Presented by Herb Delute, son of a Delano Manong; County Proclamation presented by District 1 Supervisor, Greg Cox; and CSDFEA Larry Itliong Essay Contest Winner Award presented to Bea Barcelona, O'Farrell Charter Middle School 10th grader. CONGRATULATIONS BEA! See snippets of the event here.